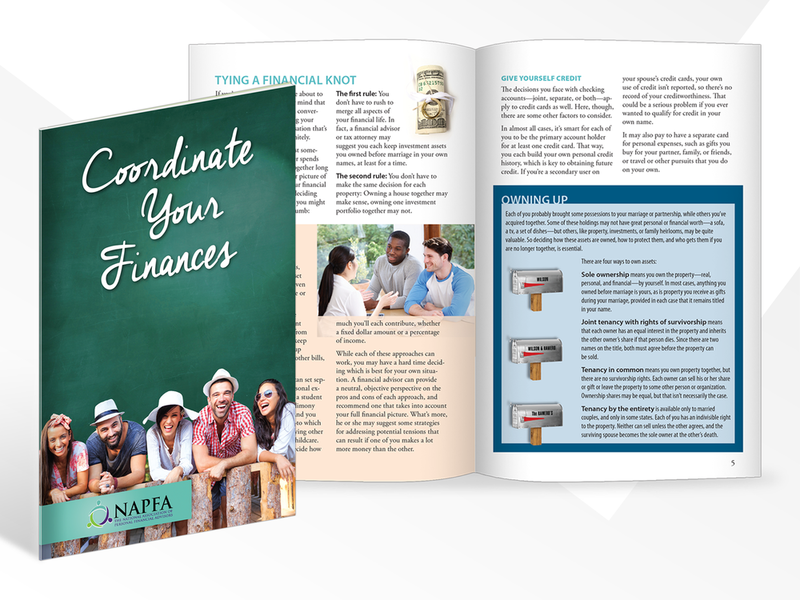 Lightbulb creates custom publications that leverage financial education to create effective, memorable promotional and marketing programs that stimulate client interest and expand your messaging to expanded target audience groups. Custom brochures, pamphlets, and mailers, which introduce new services or offerings, explain new financial legislation, target new audiences, or work as the centerpiece of an outreach campaign. These pieces often blend educational content with an organization’s marketing messaging, business philosophy, or a client call-to-action. Branded PDFs, which deliver clear, objective educational information on a key financial topic, such as an investment or retirement product, or a concept or strategy like diversification. The content is branded with a company logo, contact information, marketing messages, and client calls-to-action. The PDFs can be sent out as part of an email campaign or on an individual basis, and can be printed and used as leave-behinds at seminars, conferences, and client meetings.